Leading Manufacturer of auto urinal flusher from Pune. 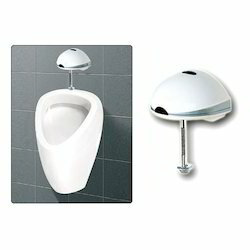 Our range of auto urinal flushers is sensor-operated flushing system and do not need ac hookups. The system can be either electrically or battery operated. We offer these automatic urinal flushers in various designs and finishes to meet the exact need of various clients. We are dealing all over India but particularly in Maharashtra. Looking for Auto Urinal Flusher ?